Us and Cyaavan hot favourites for the drop. Dublin v Galway or Tyrone for the final. D1 is a good opportunity to try out new players. Especially with corofin in the effin club championship. Last year Galway played quite well but were still well off the pace in the all Ireland semi so narrowing that gap has to be the focus for next year. Apart from the Empire none of the teams are much to write home about, to be honesht. Need to start off by saying the these experimental rules is going to make a mess of the league and such experiments should only be used in December,January challenges and the FBD,McKenna,O'Byrne cups. 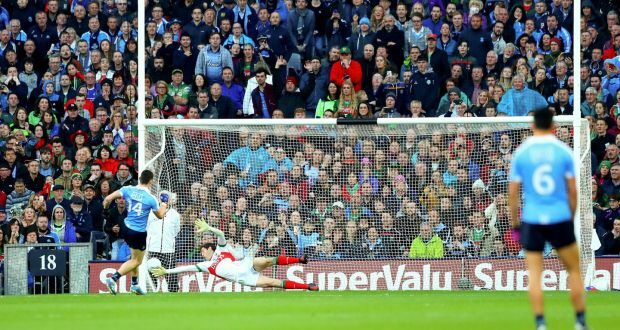 It looks like Dublin's league to lose again but i have a strong feeling Mayo could win or at least strongly challenge for a league title in 2019. Horan back on board and he'll be looking to hit the ground running, months to train and prepare for the league campaign unlike previous years and time is running out for the 30 years olds to win a national title. At the other end of the table it looks like Cavan,Roscommon will be relegated but i feel one of them will stay up by the skin of their teeth and maybe someone like Kerry in deep transition could fall through the trap door. I doubt we'll back in the final next year anyway. We have a much tougher schedule of fixtures. Only 3 games at home to the two promoted sides and Kerry and 4 away games to Dublin, Mayo, Tyrone and Monaghan. Corofin players will be missing again also. If we can manage mid table mediocrity that would be grand. Should manage a couple of wins at home and maybe one on the road that would keep them up. Dubs to reach the final yet again and maybe Mayo to join them if they get a new manager bounce from Horan. What is It, 4 years in a row last day relegation candidates? Have to raise the standard of home games and win a few, because travelling to Kerry, Tyrone and Dublin won't garner many points imo. I see that Scotstown have 5 (?) Monaghan starters so if they win the Ulster club on Sunday you'd expect Monaghan to struggle. It never mattered what mere players think. Young buicíns in their 20s with semi developed brains. What would they know compared to the wise old elders? One of the most trenchant critics of the hoor in the White House is a Rossie. You can take the man out of Ros but you can’t take Ros out of the man. What has that post got to do with this thread?